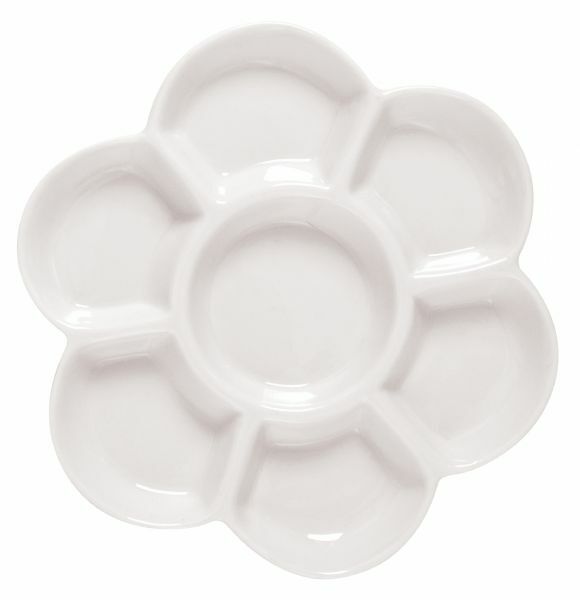 Seven sectioned floral-shaped porcelain mixing dish. * 6" diameter by 5/8" deep. The size is 6" x 5/8".